Trocar placement can be preoperatively planned with the useful aid of 3-dimensional computed tomography reconstruction of the adrenal gland with vector projection. 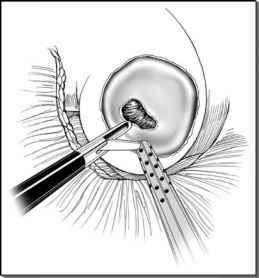 Double lumen endotracheal intubation is performed to obtain general anesthesia. The ipsilateral lung is not inflated and absence of breath sounds in the ipsilateral hemithorax is confirmed by auscultation. After positioning the patient prone on a radi-olucent spinal frame table, respiratory excursions of the anterior abdominal wall should be left unrestricted (Fig. 2). Patient's arms are adducted. 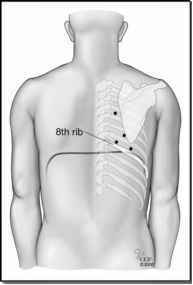 Preparation and draping of the back should be wide and extending beyond the anterior axillary line on both sides.